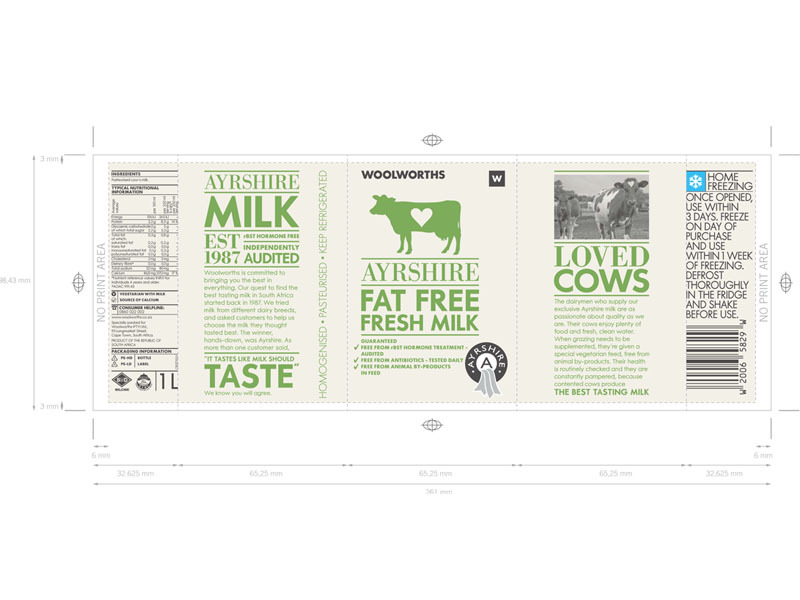 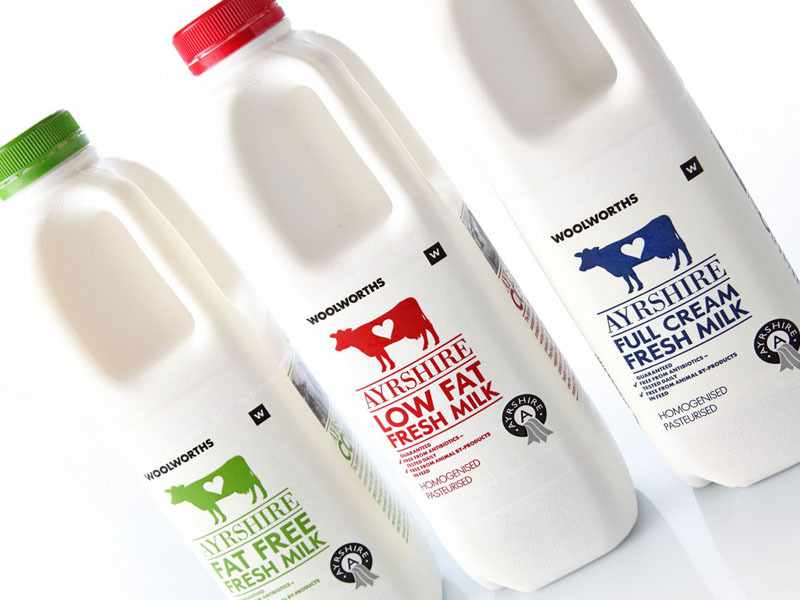 This range of milk is based on the fact that this milk comes from the Ayrshire breed of cow. 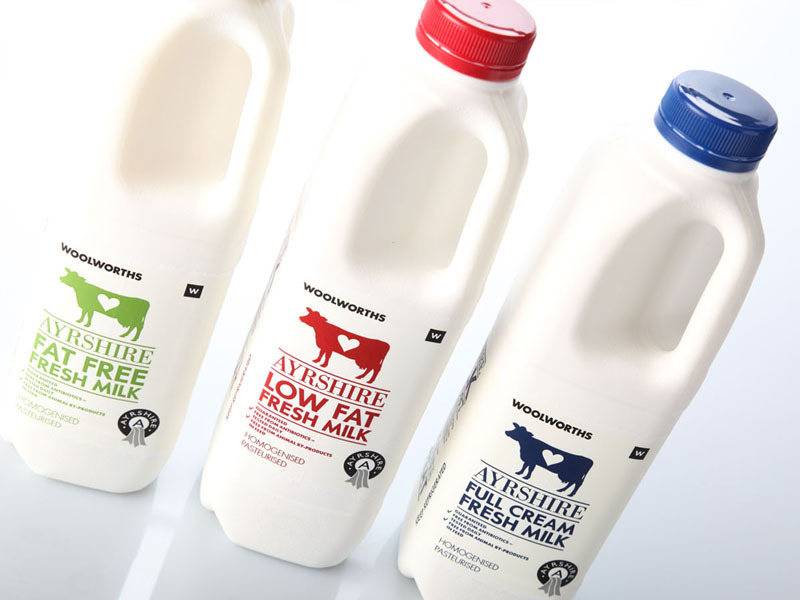 This breed is known for its quality and delicious flavour and creamy mouth feel. 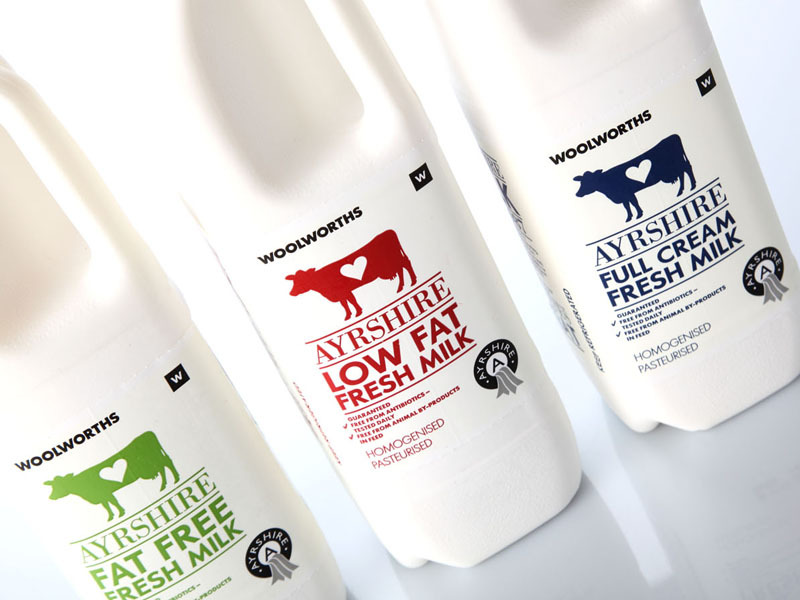 This brand of milk is exclusive to Woolworths so Calibre was honoured to have designed the look for this range. 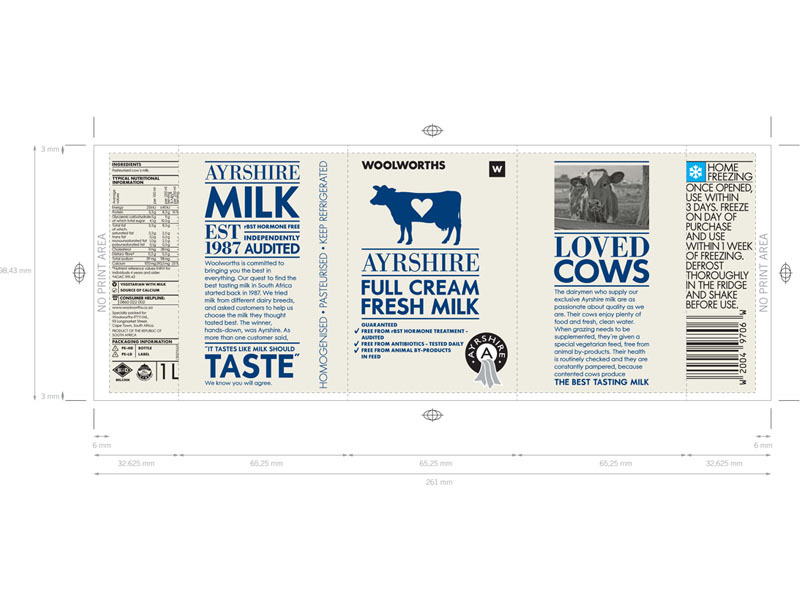 It made sense, therefore, to make the focal point of the design the cow itself! The heart was incorporated to express that Ayrshire cows are loved and treated in accordance with the strict animal welfare Code of Practice. 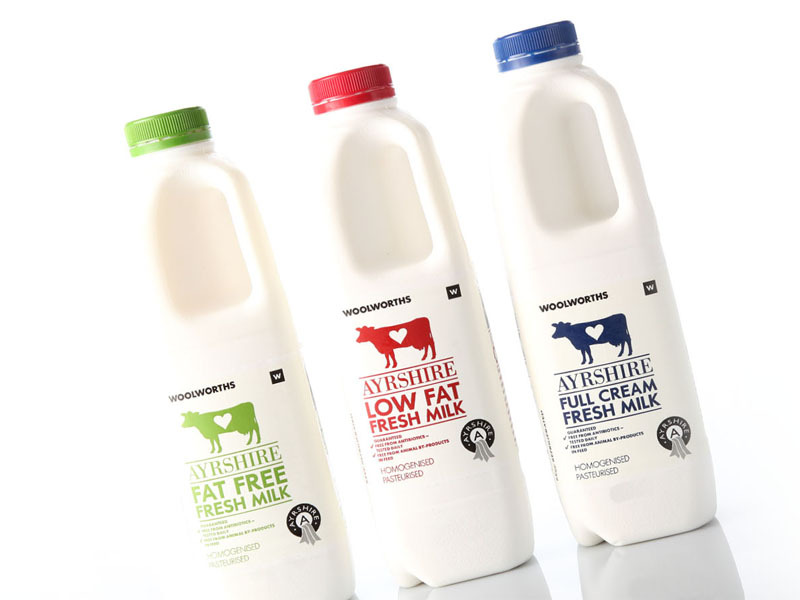 Key messaging on this range is also the fact that these cows are rBST free which means that the cows are not treated with this hormone that stimulates milk production which is good news for the consumer!